Not getting close enough? If you’re shooting sunsets, landscapes and portraits while on holiday there’s a good chance you’ve already realised that your smartphone’s built-in optics are somewhat limited. 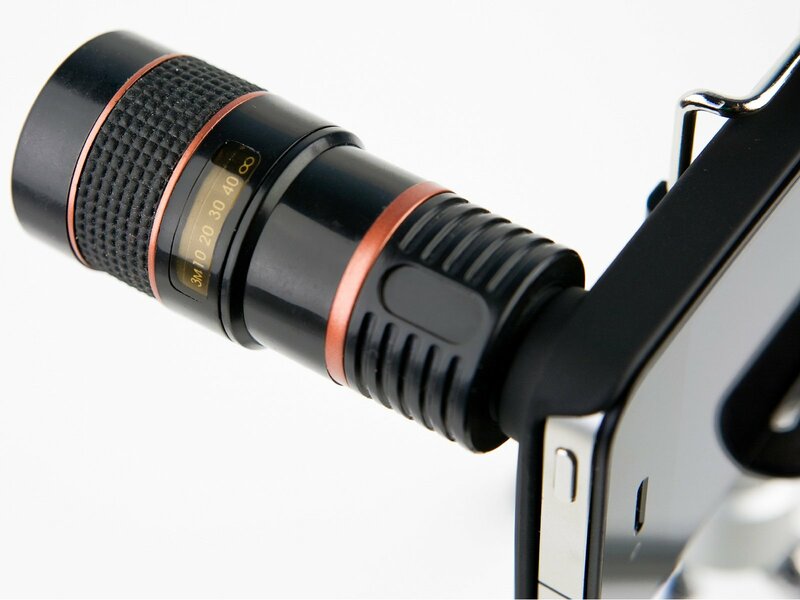 Photojojo’s iPhone Telephoto Lens lets you instantly upgrade by adding a fixed telephoto lens with 12x the zoom. It’s compatible with both the iPhone 5 and iPhone 5s. As a bonus, each iPhone Telephoto Lens comes with a collapsible table tripod for steadying and focussing pictures better, which is critical if you’re planning to take snaps in low-light. A mini ball-socket tripod, it twists both horizontally and vertically for easy positioning. The iPhone Telephoto Lens is also available for both the iPhone 4 and 4S, though only with 8x zoom.